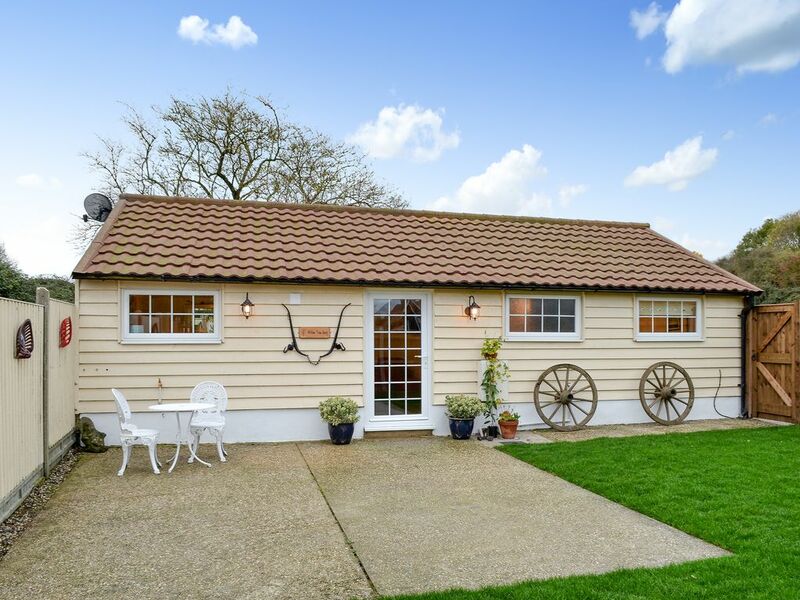 This quaint, detached property is located in the charming village of Purleigh. Set within the owners’ grounds, it makes a quiet country retreat with good access to London and the local town of Chelmsford. Formerly a derelict barn, it has been brought back to life and restored to a very good standard by the owners. Comprising a spacious double bedroom, shower room and open plan living area with kitchen, this property still holds its charm with wooden beams but boasts a contemporary style. Guests can enjoy a private garden with seating area and water feature, where they can sit and relax in summer, enjoying a glass of wine in the evening as the sun sets, whilst planning the next day’s adventures. There are several walking routes and cycle paths in the area, as well as two golf courses, and the local pub is a just a small walk away. For a more vibrant atmosphere, Chelmsford is a short drive where you can visit Hylands House, Chelmsford Cathedral and even the local zoo. For a trip to London, Willow Tree Barn is a short drive from North Fambridge train station from where trains run to Stratford (home of the former London Olympics and now West Ham Football Club) and from there directly into the capital, so you can explore the sights of London in a day! Shop, pub and restaurant 500 yards. Living area: With 32" Freeview TV, DVD and wooden floor. There is 1 step to property and 3 steps in garden. Commercial vehicles are not allowed at this property.